The most enigmatic and universally known UFO incident in history needs only one name – ROSWELL. Roswell will never fade as it represents the true ushering in of the UFO phenomenon for time immemorial. Dwarfing Orson Wells’ “War of the Worlds” in national and then international hysteria, Roswell was an unparalleled turning point for all of mankind because for the first time almost every man, woman and child on earth was faced with the reality that we are not alone in the universe. In early July, 1947 Major Jesse Marcel, commander of the most technologically advanced bomb group in the world, discovered the crash site of a downed UFO in the New Mexico desert following a harrowing and record breaking storm. Out of honor and duty to his country, Major Marcel was to become the scapegoat for the largest disinformation cover-up effort in world history. What he saw would be a secret he would keep for many years – knowledge about the crash itself and the ensuing battle to keep the incident covered-up by government and military factions. Roswell would be forever entwined in not just Major Marcel’s life but that of his children and grandchildren for generations to come. 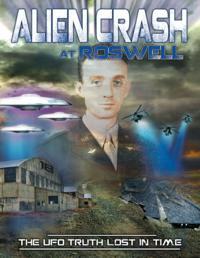 Today Jesse Marcel III, the grandson of Major Jesse Marcel, tells his grandfather’s story and reveals what has continued to haunt his family for over sixty years – the legacy of ROSWELL. Join Philip Coppens, star of the History Channel’s “Ancient Aliens” series in this untold and unprecedented expose on the Roswell Incident. 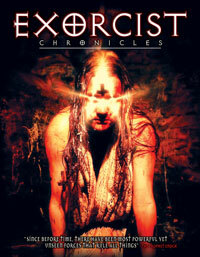 Across the world demonic possessions are occurring at an alarming rate, taking over the lives of thousands of young women. The Vatican is aware of the dilemma and assigns a special task force led by a priest and a scientist to investigate. They quickly uncover a shocking series of demonic possessions centered around a location called Dead Man’s Land and focus their efforts to discover the source behind the epidemic. Behind the scenes, the Vatican knows more than the team is led to believe, while at an even deeper level a sinister group with links to the Knights Templar hold the key and the secret to the possessions. Father Jan (Rudy Barrow) and Daryl Lux (Liz Mente Bishop) begin to lose hope as increasing numbers of possessed are being called to an eerie lake that has been avoided by the locals for centuries. Taking samples from the lake, they discover a hybridized form of human DNA that is somehow growing and multiplying in the abyss. The closer they get to the source of the epidemic the closer they are tailed by a mysterious man in black who is monitoring their every move. The ultimate battle between good and evil commences with a perpetrator so ancient only the illuminated ones know of its existence, a god unlike any before or after has returned to claim the souls of earth. Various locations on the surface of the earth have acquired a legendary reputation for being entrances to the underworld. In Ashe County, North Carolina residents have reported all manner of ghostly phenomena including apparitions of women, sounds of crying babies and phantom hitchhikers, one of which may have been none other than Lucifer himself. When Roxanne Wentworth purchased a beautiful set of iron gates from a local cemetery, she unknowingly turned her property into a gateway to the beyond. Paranormal events are now chronicled on a nightly basis. In Wilmington, North Carolina, Gallows Hill (which was once the city’s hanging ground) is now a commercial office. Though the gallows are long gone, the unclaimed bodies of countless poor souls who hit the end of a rope are still buried in mass graves. These restless spirits continue to walk the grounds, and hallways of the property. The spirits of those executed are angry and to this day nobody has successfully spent a night alone in the house on Gallows Hill, though many have tried. Explore these encounters and more as we journey into the realms of the Paranormal and Supernatural. So my thoughts to you is, just look at the covers... how could you possibly go wrong here? It's like a good book, you see the cover and then make your choice... so tell me of these three dvd covers, which do you choose?